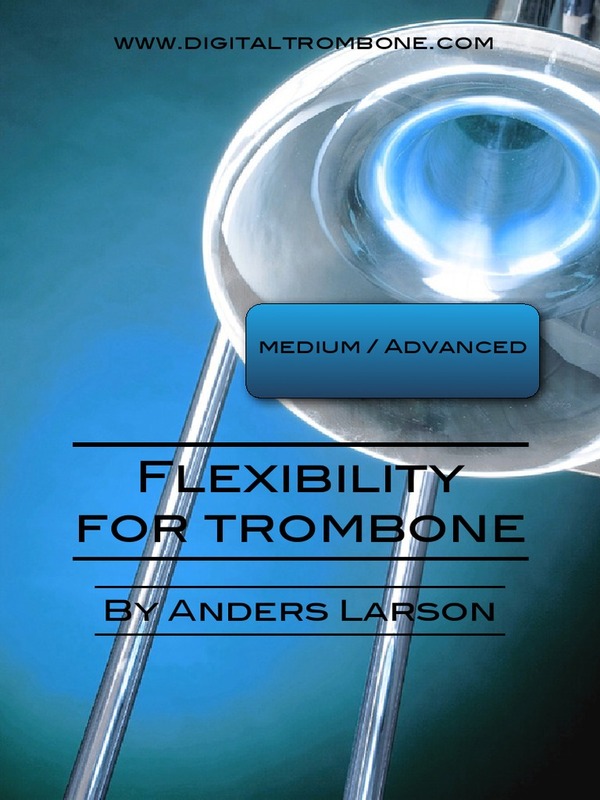 Flexibility for Trombone is a thoughtfully compiled book of lip-slur exercises. The book is divided into twelve chapters; each chapter is progressively more difficult and intricate in nature. At the beginning of each exercise Anders Larson provides the reader with instructions and pointers on performing the exercises properly and effectively. The book is useful for both classical and jazz trombonists, however it’s important to note that none of the exercises use the F-trigger, although pedal tones are present in certain chapters. The most valuable aspect of the book is the insight of Anders Larson. His thoughtful explanations provide the reader with practice techniques, how to monitor improvement, and how to progress as a trombonist as quickly and effectively as possible.